A full range of medical and social services to treat and support your health and well-being. Sometimes, a few days in the hospital just isn’t enough time for your body to recover. You might need more time in a post-acute setting before you can head home. For others, long-term care may be the best option to help you maintain your quality of life. Whatever your needs, EmpRes Healthcare helps you reach your highest level of functioning. We provide the round-the-clock, expert nursing care and daily assistance needed to help you regain your independence. Our professionals communicate with you, your family, and your physician to define a treatment plan that best suits your goals. 24-hour care from licensed nurses (LNs) and certified nurse assistants (CNAs). Nutrition planning from a registered dietitian. Looking for skilled nursing in the comfort of your home? Consider our Home Services division, Eden Health. Resident satisfaction is a top priority at EmpRes. That’s why we developed the “4 R’s of Resident Satisfaction,” a rounding program with the singular goal of making sure our residents’ needs and wishes are met. We begin planning your safe discharge home on the day of your admission. Throughout your stay we provide comprehensive evaluations to determine your need for home health or outpatient services after you leave us. Post-acute care at EmpRes is the ideal setting for transitional rehabilitation. Whether you’re recovering from an elective surgery, injury, or illness, we provide the medical and emotional support you need to help you on your road to recovery. Our interdisciplinary services and compassionate care team help restore loss of function and optimize recovery in a comfortable environment. We work with you, your physician, and your family to successfully transition you from hospital to home. We understand your goal is to return to your everyday life. Post-acute residents are closely monitored for complications or changes in condition, which makes them less likely to be readmitted to the hospital. Our goal is not only to help you recover and return home, but also to prevent future complications through education and enhanced well-being. We focus on maximizing your functional abilities so you will be stronger, more confident, and able to care for yourself as independently as possible. The need for long-term care can arise suddenly, such as after a heart attack or stroke, or may be necessary to treat a serious, ongoing health condition or disability. 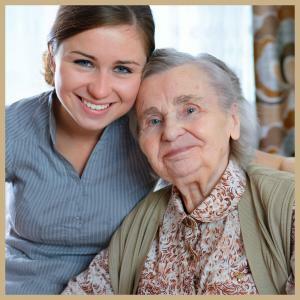 Long-term nursing care at EmpRes provides the care services and daily assistance you need, for as long as you need them. If you can no longer perform everyday activities on your own, our goal is to meet your health and personal needs to help you live as independently and safely as possible. Long-term care is designed to make your life away from home manageable and enjoyable. Our compassionate staff is dedicated to boosting your emotional and social well-being. We offer a personalized experience that’s designed to make you healthier and happier.